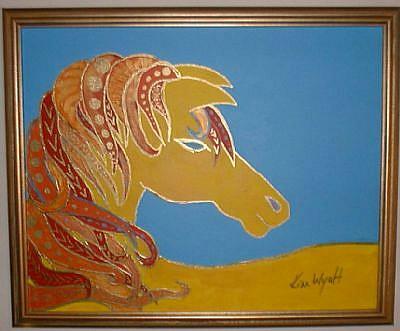 This stylized horse silhouette painting in yellow has a mane with metalic paint outlines and details to add excitement to the composition. 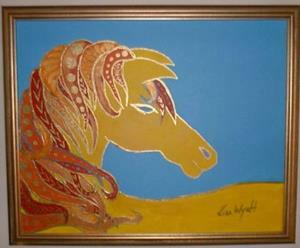 Painting in acrylic paint on canvas. There are several reasons, but two of them stand out for me. 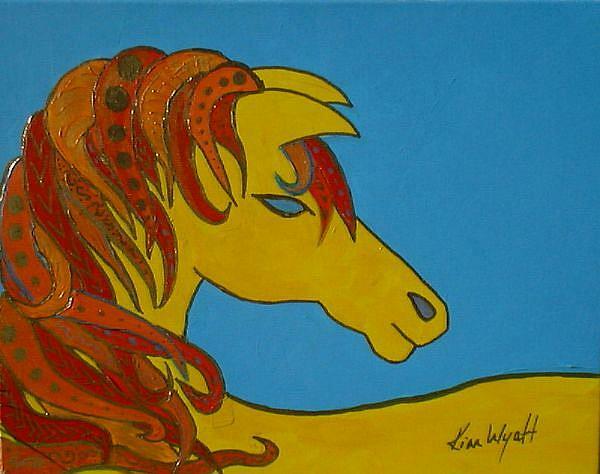 As a girl I drew and painted horses all the time. Then it was because I wanted a horse, what girl didn't? Now I paint them because they seem to be going the way of myth and legend. Most people rarely see horses anymore. They have become an exotic oddity in our modern world to most city dwellers.